Of the thousands of books January Magazine’s writers and editors reviewed throughout 2006, here are the ones that really stood out in our minds. To get straight to the heart of the type of books you enjoy most, look here for our choices in fiction, here for crime fiction, here for our selections in art & culture, here for non-fiction and here for our choices in books for children. With a new year just around the corner, book lovers have much to anticipate. Not the least of this is the release of the final book in J.K. Rowling’s Harry Potter series. Britain’s mail service is conferring with retailers and renting out hundreds of extra trucks in anticipation of the launch of the seventh -- and final -- installment of J.K. Rowling’s Harry Potter series. Royal Mail spokesman James Eadie told AP that history has taught them to be prepared for a new Rowling novel. For example, on July 16, 2005, Royal Mail delivered more than half a million advance copies of Harry Potter and the Half-Blood Prince, a feat that required 150 additional trucks bringing books to 1400 delivery offices around Britain. While the number represents only a fraction of the 80 million items the Royal Mail delivers daily, the security -- and secrecy -- surrounding the work mean the books have to spend as little time as possible on warehouse floors, complicating their distribution. The 652-page “Half-Blood Prince” weighed in at just under 2.2 pounds, forcing postal workers into vans to avoid overloading their carrier bags. MSNBC has the AP item here. As exhibitors start looking forward to the 20th annual Tehran International Book Fair, the announcement of a relocation for the event is causing some exhibiting publishers concern. Representative offices of foreign publishers in Iran have argued that the international section of the event will face many problems if the location is changed. The Tehran International Book Fair is held each May. There will be a mixture of professional storytelling of Scottish Tales, children's crafts, a workshop for adults on how to tell stories, a puppet show, refreshments and the prize-giving for the “daftest place to read a book” painting contest. 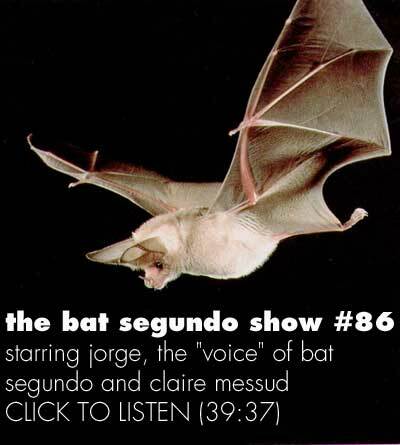 January Magazine contributing editor Edward Champion delivers a great episode of his Bat Segundo show. This time his subject is Simon Winchester, as the author flogs his latest, A Crack In the Edge of the World, a book that got Publishers Weekly all misty. PW said Winchester’s “compelling narrative,” was “a magnificent testament to the power of planet Earth and the efforts of humankind to understand her.” Sweet. If that’s not enough to make your brain sweat, you can hit a link to the Podcast here, or coast through previous Bat Segundo interviews here. Recent entries include interviews with Claire Messud, Kate Atkinson, Francince Prose, Kelly Link and Mark Z. Danielewski. January Magazine’s Holiday Gift Guide 2006 concludes with selections of books focused on various aspects of art & culture. Suggestions in fiction are here. Children’s books are here. Non-fiction is here and cookbooks can be found here. You can see the lead item to this feature here. January Magazine’s Holiday Gift Guide 2006 continues with selections of cookbooks. Suggestions in fiction are here. Children’s books are here. Non-fiction is here. And check back for further gift book selections over the next few days. January Magazine’s Holiday Gift Guide 2006 continues here with books for children. Selections in fiction are here. And check back for further gift book selections over the next few days. You can see the introduction to January’s 2006 Holiday Gift Guide here. The Campaign for the American Reader blog has been conducting an interesting experiment over the last few months. Marshal Zeringue, executive director of the project, has been asking authors from various fields to apply the page 69 test to their most recent book. Today’s entry, from William Easterly, author of The White Man’s Burden, was the 100th of these tests thus applied for the blog. Authors who’ve tested their books have included Danielle Trussoni (Falling Through the Earth), Anne Perry (A Christmas Secret), Nicholas Lemann (Redemption), Anne Frasier (Pale Immortal), Robert Vitalis (America's Kingdom), Bill Crider (A Mammoth Murder), Adam Langer (The Washington Story), Duane Swierczynski (The Wheelman) and even me (for Calculated Loss). Though former U.S. president Jimmy Carter has written 23 books, none has stirred interest and ire as sharply as his latest, Palestine: Peace Not Apartheid (Simon & Schuster). In the latest issue of Newsweek, Eleanor Clift spoke with Carter about the firestorm the book has ignited. Well, it was. But one of the purposes of the book was to provoke discussion, which is very rarely heard in this country, and to open up some possibility that we could rejuvenate or restart the peace talks in Israel that have been absent for six years. You can read the whole exchange here. Watching television this holiday season has been mildly frightening. Maybe I’ve never noticed it before -- maybe you’ll tell me this isn’t new -- but the message I saw pushed in my face over the holidays this year and the one that has been picking up in tempo as the key gift days approach is this: if you want to make someone happy, you need to buy the right present. More: to make them really happy, you’ll need to spend quite a lot. In fact, these messages seem to say, the more you spend, the happier your loved ones will be. Case closed and end of story. If this is the message that's being conveyed, it’s really time to stop and take stock of the whole holiday gift giving thing. Now, I like gifts. I like to get them and I really love to give them. I approve of the whole gift exchange idea. Having a designated gift exchange day seems sensible to me, but only if the gifts are carefully chosen and reflect a need or desire or a hole in the life of the receiver that they maybe weren’t even aware of. Over the years, the gifts I’ve given that have given me the greatest joy were the ones I knew filled an unexpected void. The perfect candle for the niche in the corner. The perfect pepper mill, because I know the one you have isn’t great. The perfect dish in which to serve your famous paté. The perfect book. The perfect book. The perfect book. The book gets three mentions above because, in my own gift shopping, the answer that seems to come up most often is “book.” Everything is right about books as gifts. There are no drawbacks of which I am aware. Books (as I seem to mention every year so it is apparently important to me) are easy to wrap. They’re easy to ship to loved ones who don’t live close by. They are relatively inexpensive (and sales at this time of year are easy to find). Even the most expensive books are comparatively reasonable. Most importantly: books are for everyone. For Everyone. And though beautiful books in a largish format can be splendid gifts (and are available on many, many topics), other books make for the perfect gift, as well. Over the next few days, we’ll be offering up suggestions for gift giving. Stay tuned and -- most of all -- enjoy the season! Gift guide selections in fiction are here. Children’s books are here. Non-fiction is here. Over the next few days, we’ll be offering up our selections for the 2006 holiday season. We begin here with a few selections of works of fiction. Have a great holiday! And don’t forget to take some time to read. Readers who fell in love with Nick Bantock’s Griffin and Sabine more than 10 years ago will find little to remind them of those characters in Bantock’s latest outing. Windflower is good. It’s charming. But it’s a very different sort of book. First, although the book is illustrated, there are more words in wildflower than what we’re used to seeing from this author. A lot more. Interestingly, though, since Bantock is known as an illustrator-turned-writer, rather than the other way around, his writing is very visual. “She sees her mother comb and braid the bride’s hair. The bride has very dark brown eyes, a high-bridged nose, and a jaw that is a little wide at its hinge.” Bantock is clearly very concerned with the way things look and he wants you to see what he sees. In Windflower, a young dancer named Ana is promised in a loveless match. Everyone in her family is in favor of that match, except for Ana’s grandfather, who agrees that the marriage must not happen, at any cost. As the wedding approaches, Ana flees, setting her on a journey beyond her wildest imaginings. Edoardo Ponti -- yes that Ponti -- is listed as co-author, but his name appears much smaller than Bantock’s, I'm not sure what that means, though maybe the co-authorship is incidental, although Ponti is adapting the novel for the screen. Certainly the style here seems all Bantock, all the time. Fans will adore Windflower and the beautiful frieze printed in full color along the bottom of every page in the book helps make this an ideal book for gift-giving.